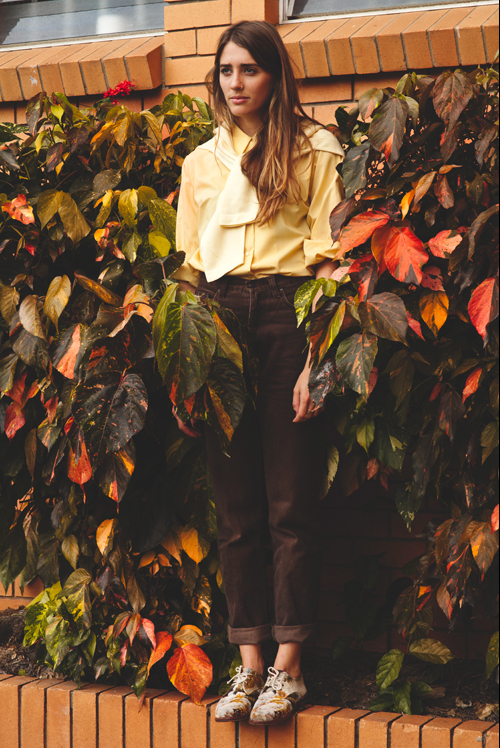 FK chats to Lisa of beautifully handcrafted unisex footwear brand Marssi based in Noosa. Tell us about your label Marssi and what the concept is behind it? 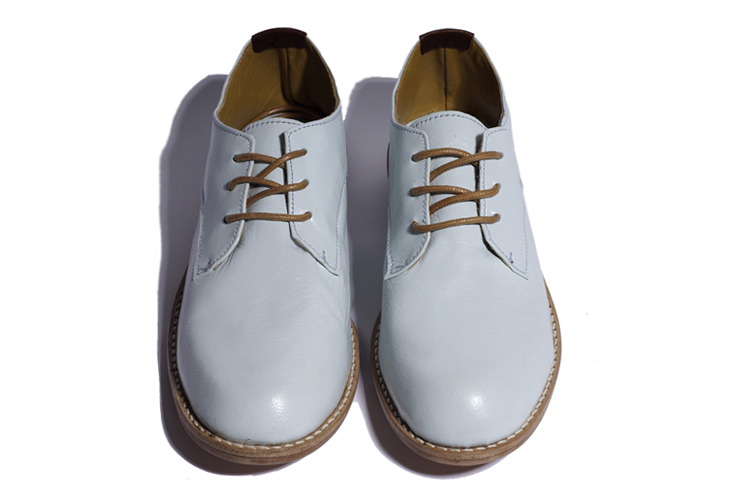 The idea behind Marssi is to have a footwear label that always focuses on a clean and refined product. I feel that the appeal of certain products can be lessened when that product has been created to be too unique. I want Marssi to avoid this unnecessary quest to be too different and instead be a label recognised for its simplicity and respect of timeless design. For me it is important that the Marssi product can be worn year in year out, no matter what the season or what the ever-changing trends are bringing to the masses. Accessories are the things that stay with someone for most, if not all, of their lifetime and are the little ways in which we can express our personal style. My creative background only goes so far as high school art and very creative parents. My mother is an artist and taught the great lesson of using what is in front of you to create something special. My father is a builder and enjoys the more creatively complex projects. He is also one of the most meticulous people I know, ingraining that very necessary quality in me. The qualities I’ve adopted from both my mother and father create the perfect combination for what I am doing now and most definitely inspired me to choose a profession that requires the implementation of such attributes – creativity and attention to detail. 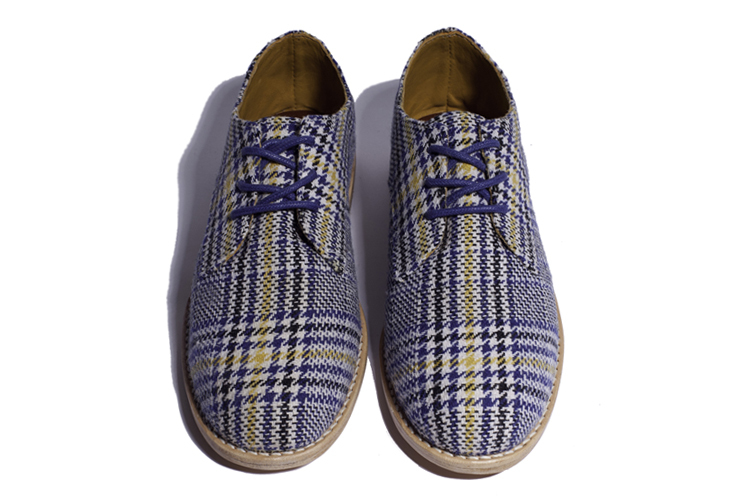 What do you love about working with footwear? and what keeps you creatively motivated? 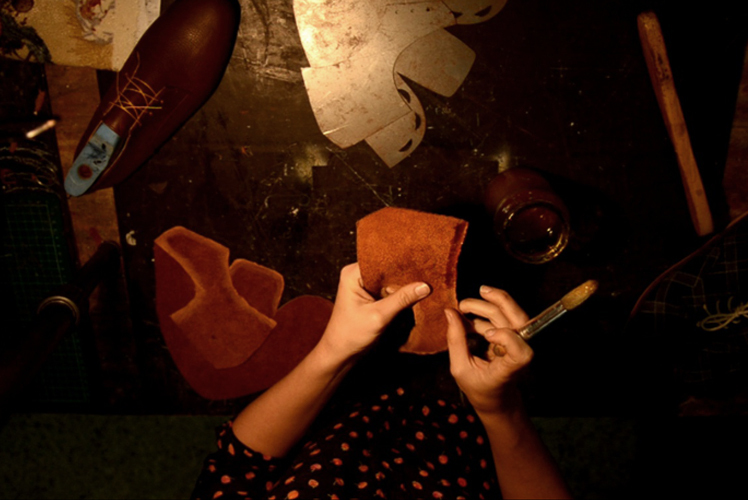 I mostly love that there is such a diverse range of tasks required to make a pair of shoes, particularly a new style, so the process is often quite an interesting one. I would have to say that the design development stage and lasting stage are the most enjoyable. Design development is great for the thought process involved in creating a pair of shoes from shape, colour, suitable materials and construction methods. The lasting stage is fulfilling as you finally get to see how that idea has come together with all your considerations during the design stage. In terms of being creatively motivated, that is happening all the time. Motivation might come about whilst running errands and seeing a beautiful colour combination somewhere or a well put-together outfit. It might come when discovering a new fabric or leather, or straight off the runway, in a magazine or just when deciding what you might want to wear to an upcoming event. Creative motivation happens so much that it can sometimes be a distraction for progress! It can be quite tricky to turn down an idea that comes to you because you have other work at hand. For this very reason, I keep a journal handy at all times! My partner and I moved to Noosa from Brisbane 18 months ago so I set up my little workshop in one of our spare rooms. Although small, it’s been a good little space up until Marssi started to grow and orders increased. Nowadays my workspace acts more like storage and the dining table has become my choice for a workbench. Admittedly this might have a lot to do with it’s close proximity to the kitchen being a convenient distance for those occasional moments of procrastination. However, the big plan for Marssi moving forward through 2014, will be it’s relocation to an external studio in Noosa where other creatives can come and utilise the space also. Establishing a creative community up here is important to me and working alongside like-minded folk is always nice! It’s hard to imagine how many different roles you need to play when running your own label and if you want to have some form of a normal life outside of that, including having a partner, friends and family around, it can feel incredibly challenging. The balancing act of keeping yourself and those around you happy whilst excelling in your label so it can support you sooner rather than later, is no easy feat. However, mastering this balancing act by keeping focused and valuing your business and personal life equally will keep you inspired and driven. To me this is key when running your own label as it allows for greater perspective and therefore greater decision-making. What I love most about Marssi is that it acts as a very satisfying outlet for creativity. Being able to play around with ideas and rely solely upon yourself for the formation of those ideas is incredibly fulfilling! What new projects are you working on and where would you like to see Marssi in the future? Marssi has just started releasing it’s AW14 range and will continue to do so leading up to April. This collection is something we are hugely proud of as it boasts a diverse range of styles for the Marssi customer whilst still complimenting the qualities of timelessness and refined appeal that is inherent in our celebrated derby style. 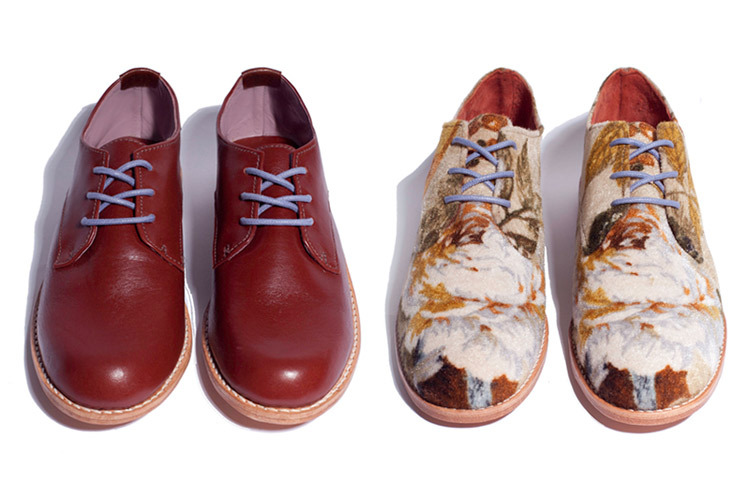 This collection will introduce two different designs for ankle boot, a closed-in sandal, an oxford and a modified derby. We are positive that those who love Marssi will be just as excited as we are about this very special AW14 range!